In the previous lesson, we focused on learning about Menus in Electron. 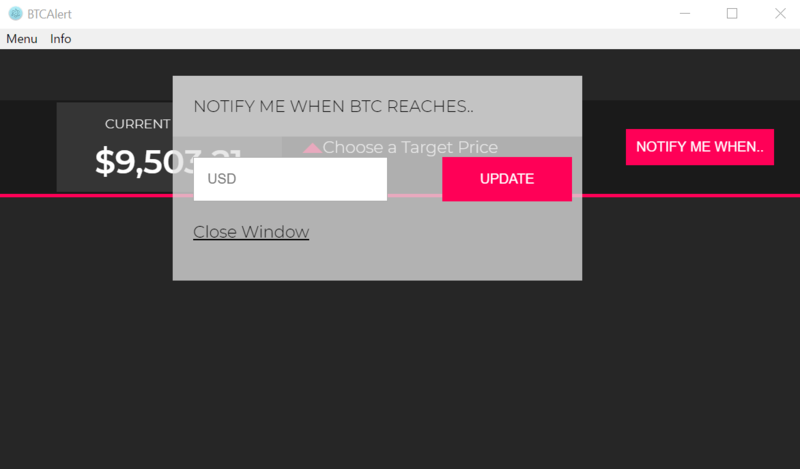 In this lesson, we will begin to develop our app's UI (User Interface) for our bitcoin price alert app. To this point, we haven't organized our project very much in terms of folder structure because we haven't had to. Now that we will have some new files for another app window, it's worth establishing some organization. The contents of the 3 new files can remain empty for now. We have also had to keep reloading our project every time we make a change, but there's a handle package called electron-reload that would be worth installing, which refreshes the app automatically upon certain file changes. We will not be using any type of CSS framework because the markup is rather minimal. But the <button id="notifyBtn"> is what will launch our secondary window. 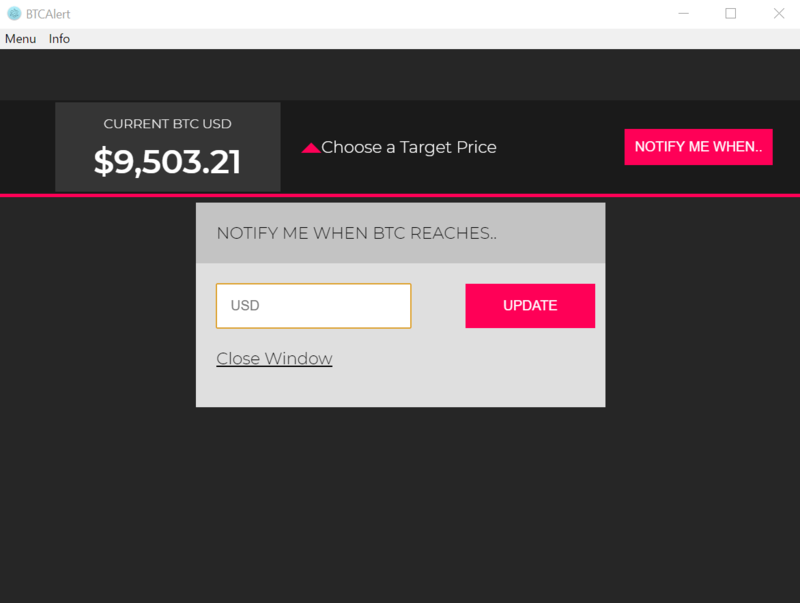 This will present the user with a form that has an input area from which they can specify a US Dollar amount to be notified when the actual price of Bitcoin exceeds said amount. We will also need to create an images folder inside of assets and place the following file inside of it (right click and save file as). I know, I know.. I haven't talked about launching actual windows yet, but don't worry, we're getting there. This is all important stuff because this course is based on an actual project. I won't describe what's happening here, but nothing too fancy. We are using the new CSS Grid, though! Great! If you click on the button NOTIFY ME WHEN.. nothing happens, so let's make it create the actual window. Whew, that was a lot of work, finally! BrowserWindow will allow us to launch a new window in our Electron app. First, we're defining the file location of add.html. Next, we create a new instance of BrowserWindow win, and defining the width and height. From there, we do some cleanup if it's closed, we load the path of add.html and then .show() it. Give it a shot by running npm start! Okay, this looks good and all, but do we really need the frame with the title and the menu? No! If you're ever going to make a window transparent, make sure you do it correctly. You can very quickly make your app difficult to use if you're making it transparent! None the less, let's give our window a slight bit of transparency. Next, we define the amount of transparency in the CSS. Here, we're giving the background color a very light color (nearly white) and setting the opacity to 50%. Great! One thing that's slightly annoying, is that if you select the main window, our notify window becomes hidden behind it. Let's make it stick. I decided to organize the code better, now that we have several properties. 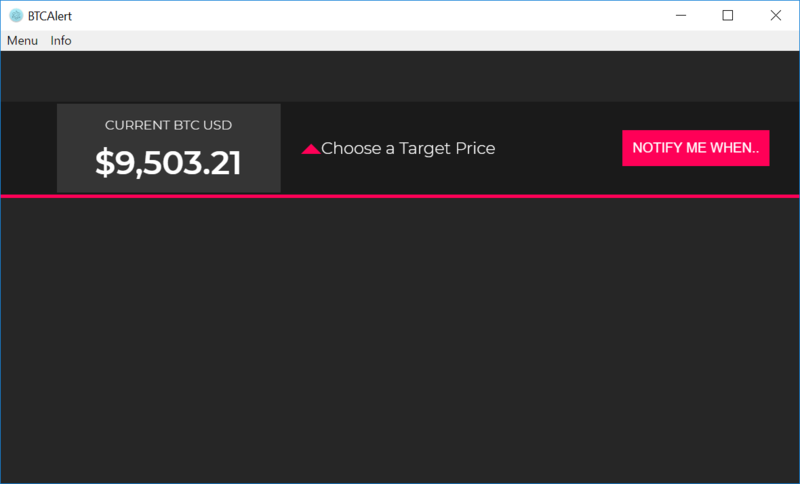 Reload the project, and our Add Window will always remain in view on the screen! This is really awesome stuff, isn't it? Now that our Add Window is stuck on the screen, let's make that Close Window button actually work. The magic happens when we use remote with the .getCurrentWindow() method. Once we have access to the current window, we can use .close() to close it! Run npm start and you will now be able to close the window. Our templating is finished, we can create menus and launch windows. But our actual doesn't actually function. 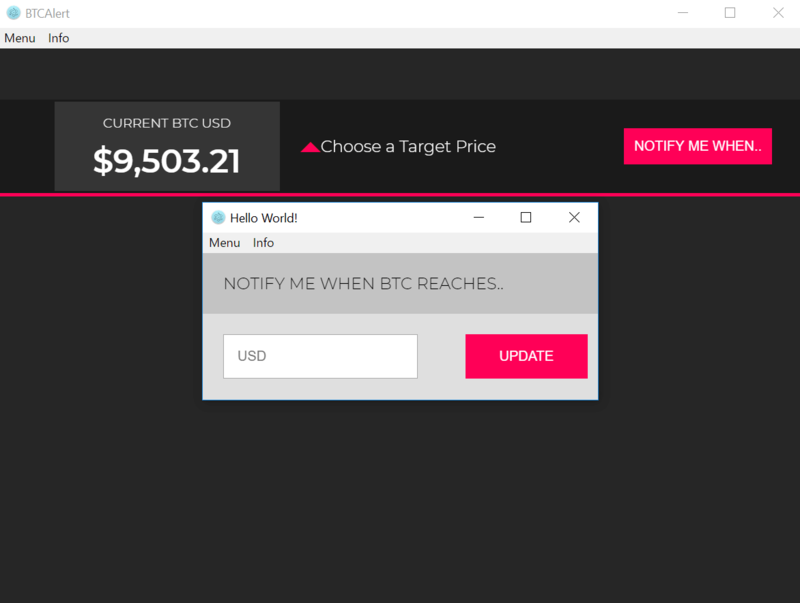 In the next lesson, we're going to integrate an HTTP library to make a call to a cryptocurrency service and retrieve the current value of Bitcoin, and display it in our UI.